Pick up a local skill during this half-day workshop. 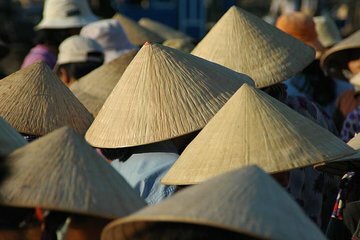 Learn how to make a traditional nón lá Vietnamese hat. Starting with only palm bark leaves, you'll soon have a hand-made hat to keep the sun off your face throughout your travels.  Participate in a centuries-old local pastime while making your own iconic Vietnamese souvenir. Enjoy protection from rain or shine: a nón lá is a versatile accessory! The activity can start any time between 9am and 2pm every day. 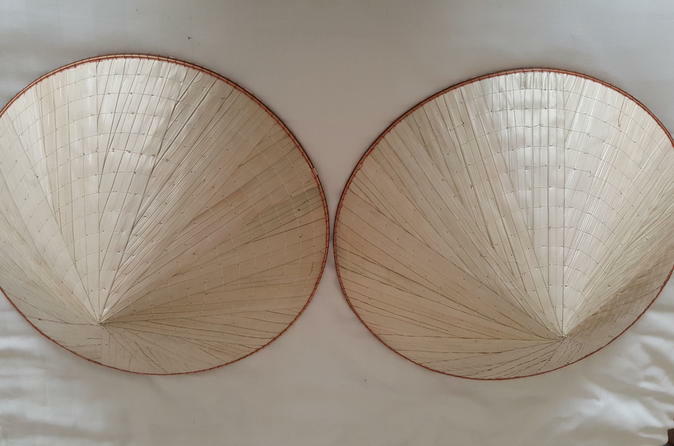 This is a unique experience that I'd recommend to anyone with a spare few hours whilst in Hanoi, especially as it is far more rewarding to think you've made your own hat or non la as opposed to just buying it. You have to find your own way to the venue which is not too difficult with a good map. The Guide we had was very helpful and friendly although I did not appreciate the personal comments about my weight/size! The lady who makes the non la's is amazing at her job and fascinating to watch.